Fish is one of those things I don’t include in my diet nearly enough. If you didn’t grow up eating fish regularly, it can seem a little daunting. There’s a sense that it doesn’t work the same way as other meats – it seems somehow easier to mess up and make somebody ill. And yet, every time I actually DO cook with our aquatic friends, I’m amazed at how simple the process is. Mackerel in particular takes no time at all to grill, absorbs the flavours fantastically and is incredibly cost effective. This oriental inspired dish is wonderful for a quick bite on a sunny afternoon, packing brilliantly fresh flavours and taking less than 15 minutes to prepare. The salad offers a delicious crunch to the whole affair as well, not to mention a gorgeous green bed for presentation. In a bowl combine the juice of a lime, a generous dollop of ginger puree and a few good drops of soy sauce, then combine to make a slurry. Add the mackerel and leave for 5 minutes or so. Use a potato peeler to slice the cucumber into ribbons and sprinkle with a little salt. 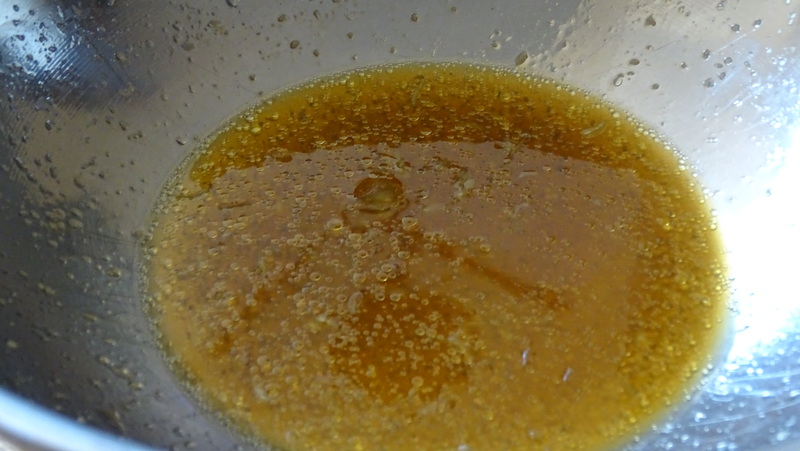 This will draw out the moisture, making the cucumber more crisp, as well as helping bring out some of the sweetness. With the flavours nicely absorbed, grill the mackerel under a medium high heat. Do the skin side last so it gets nice and crisp ready for serving. Any remaining ginger-lime slurry can be brushed onto the mackerel during grilling to add to the flavour. Squeeze the juice out of the cucumber in your hands, then toss in a bowl with edamame, black sesame and a few more dashes of soy sauce. Place your mackerel atop a bed of salad and serve immediately. 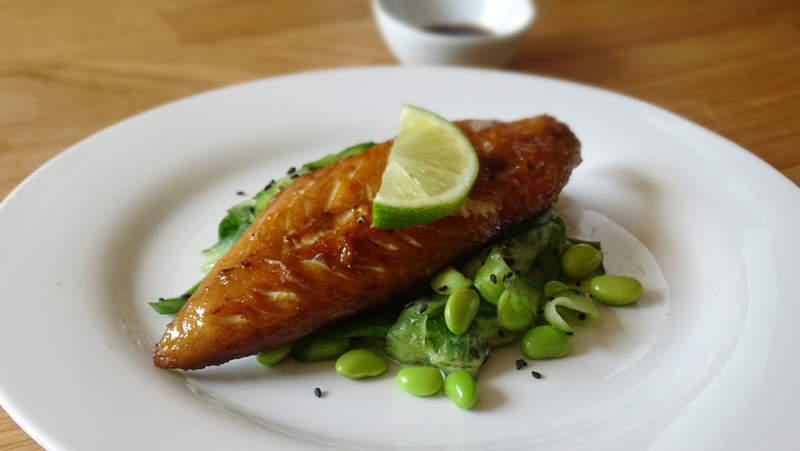 Posted in Fish, Guesscipes, Mains, StartersTagged cucumber, eastern, edamame, fish, ginger, guesscipe, Header, healthy, lime, mackerel, oriental, protein, recipe, soy, summerBookmark the permalink.